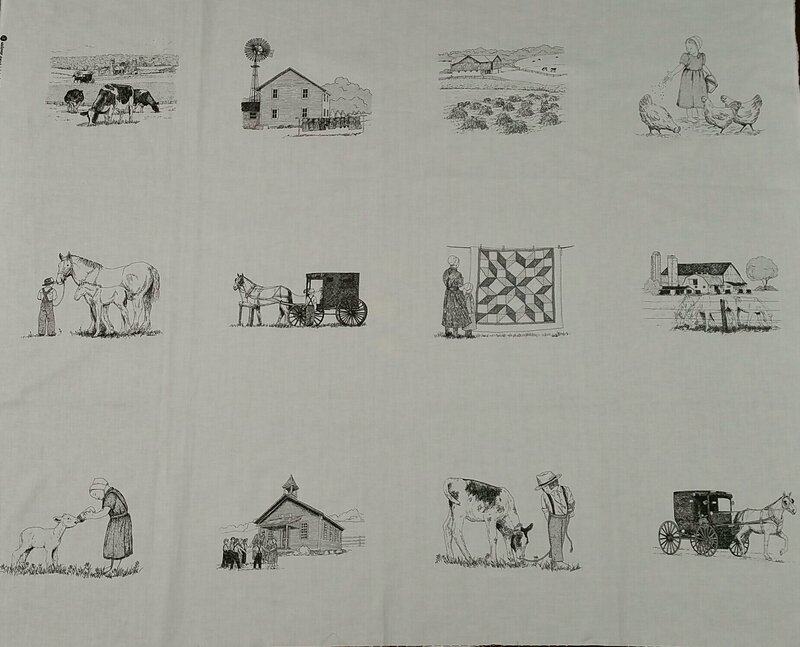 This is the panel for the 2015 Amish Country Quilt Shop Hop. It has 12 Amish Farm life scenes. It was designed by local artist Beth Baker Dix. 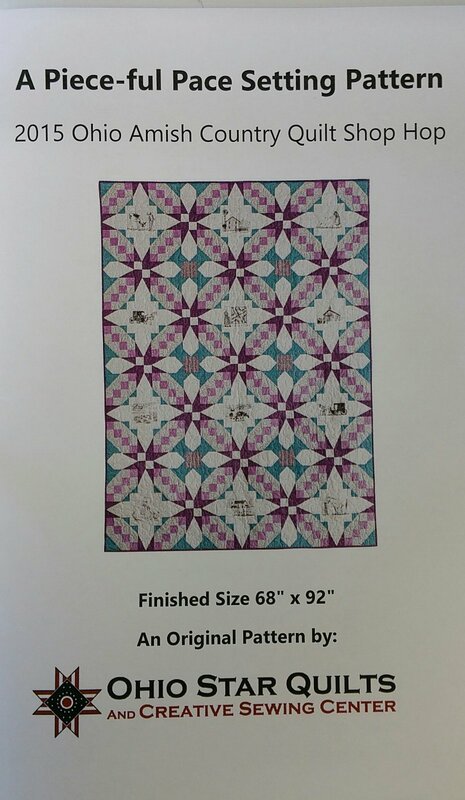 This is the pattern for the 2015 Amish Country Quilt Shop Hop for Ohio Star Quilts.